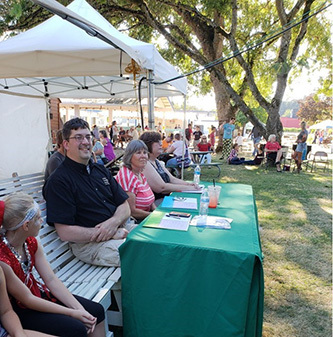 GFWC Polk County Service Club (Oregon) served as the coordinators for the Polk County Fair Talent Contest. There were two divisions (Youth from age 3-12 and Young Adult from 13-19) with 17 contestants. Laurel Jones, Vice President of GFWC Polk County Service Club, served as the Mistress of Ceremonies. Parents, grandparents, and friends all came out to fill the audience and it was very well attended. One of the Judges was GFWC Oregon State President, Pam Briggs. Polk County Fair provided the winnings and it was a great event that occurred over two nights. The last Talent Contest was held in 2013 and the Polk County Fair Manager actually came to the club asking if they would be the official coordinators for this event for this year and in the future. The winning contestant sang and was entered into the Oregon State Fair Competition. It was hard work getting all this coordinated, but with great effort the event was very successful and GFWC Polk County Service Club will continue to be the official coordinators of this entertaining event. 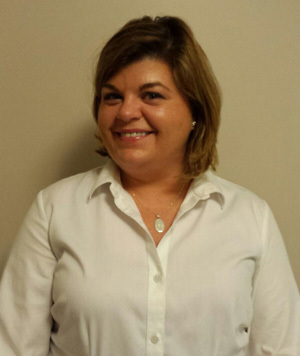 Melanie Carriker Stevens understands GFWC tradition and legacy. Daughter of GFWC Communications and PR Chairman Wendy Carriker, Melanie was inspired to form the GFWC Legacy Woman's Club, which celebrates the dedication of grandmothers, mothers, aunts, sisters, and cousins. The GFWC Legacy Club received its charter at the 2015 GFWC Annual Convention in Memphis. 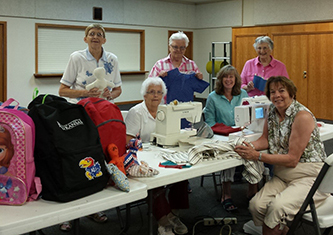 With eight members, the GFWC Towanda Nokomis is proving that a small group of committed citizens can, in fact, change the world.